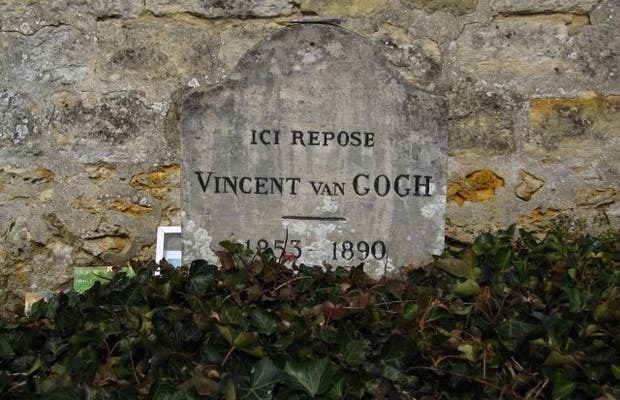 Van Gogh's grave is the primary attraction of Auvers sur Oise. The town has approximately 7,000 inhabitants and is 30kms from Paris. Alongside Van Gogh's grave also lies the body of his brother, Theo. The village cemetery is next to the town. It is accessible from the same exit and is more or less 1 km from the centre. It is very easy to find as there are plenty of signs in the area to show the way. The tiny cemetery is surrounded by walls and is approximately 60 square meters. The cemetery has one level and to find the grave of Van Gogh just have to look for the small group of people .... He's on the left.